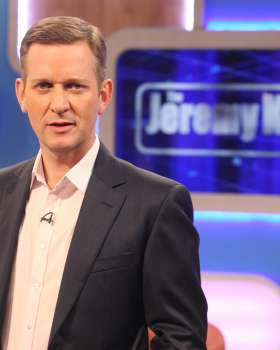 Jeremy Kyle is one of ITV’s most recognisable faces thanks to his British tabloid talk show “The Jeremy Kyle Show”. Since first airing in 2005, it has become the biggest Daytime show on the ITV network, both in terms of audience share and number of viewers. January 2015 saw the launch of his new ITV1 Primetime show, ”The Kyle Files”, which saw Jeremy take to the streets to tackle drugs and crime. The show received huge ratings and demonstrated the breath of what Jeremy can do on screen at the show returned for a further two series. The ‘Kyle brand’ went global when his show was adopted stateside in 2011. The show was syndicated across the whole of the United States and Jeremy is proud to be one of the only UK based presenters to have presented two full seasons across the whole of the USA. The American version was also a huge hit with his loyal viewers at home in the UK. Away from the undeniable success of his talk show, Jeremy has also presented “Military Driving School” as part of at ITV1 evening slot, where he followed a group of new recruits as they underwent training as front line Military drivers. This was soon to be followed up by another prime time ITV slot when he was asked to present “High Stakes”, a new ITV1 quiz show. Off screen Jeremy is a skilled Author, having had two Sunday Times best sellers with “I’m Only Being Honest” (2008) and “You Couldn’t Make It Up” (2012). The success Jeremy has enjoyed on screen has undoubtedly stemmed from his previous career as a Radio host lasting from 1986 to 1995. The late night Century FM talk show “Jezza’s Confessions” was a huge success, which resulted in him taking the show to Virgin Radio and then onto Capital FM. Every summer Jeremy can be seen hosting “The Sun Employment Roadshow’s” where the Sun teams up with 33 of the nation’s top employers in helping them showcase available jobs across the country. The Roadshow spreads the width and breadth of the country in order to help young people work opportunities.